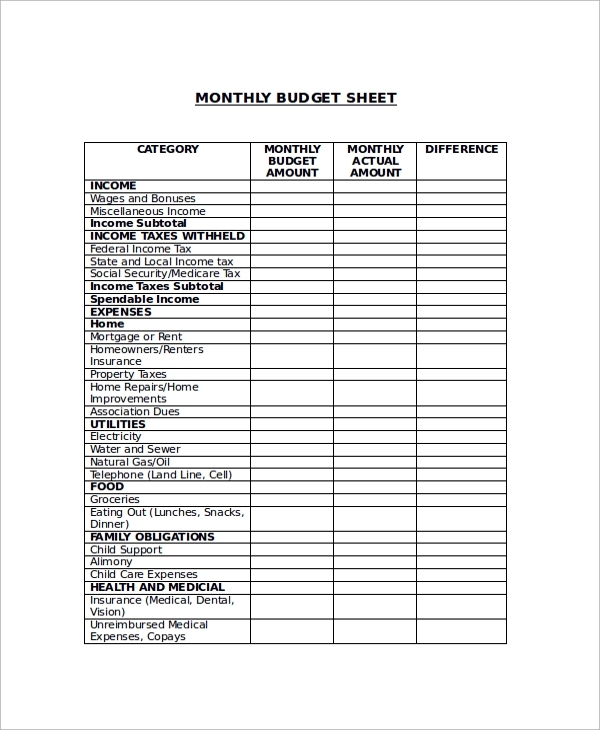 Creating a budget is the most significant step in correctly controlling your hard earned money. It is to be noted that a budget permits you to track your income and expenses rightly. It is important that by correctly writing down your monthly budget related expenditures and revenues, you will get a proper idea regarding how much you can spend in a particular month. 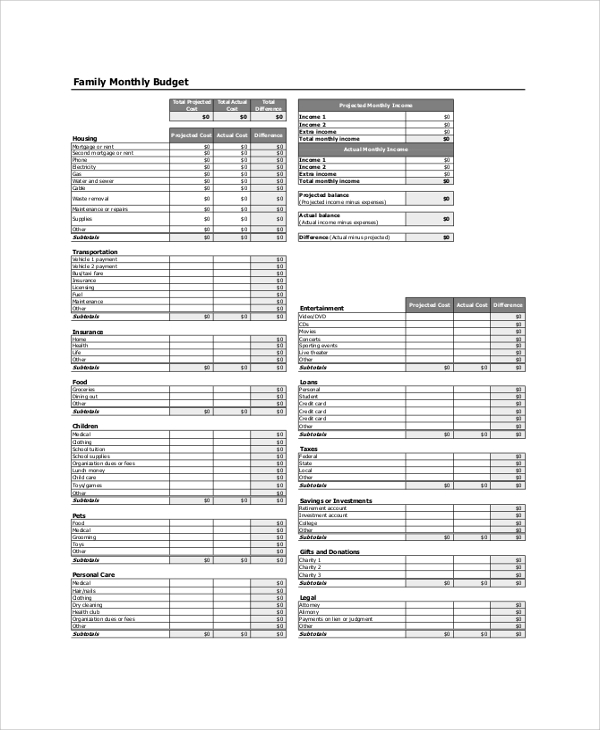 The Budget Templates are an instant hit among users. 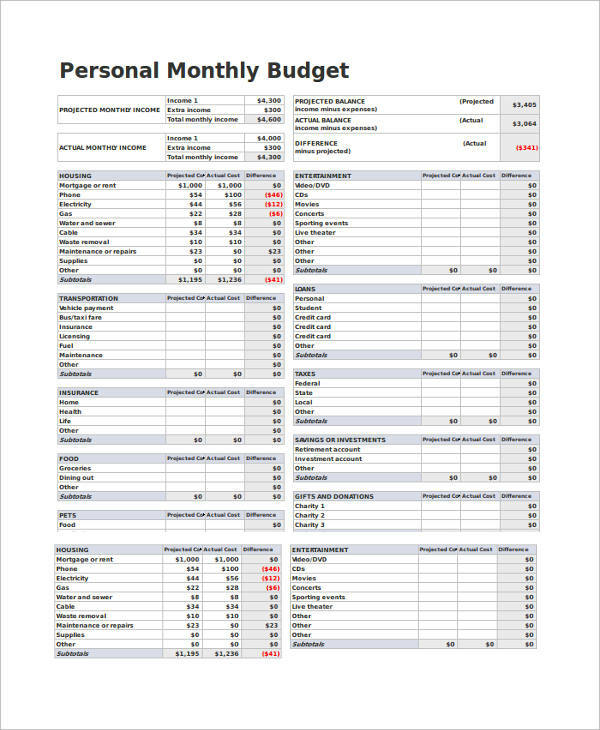 This personal monthly budget largely compares the actual and projected expenses for a particular month with a lot of perfection. It is well-designed to perfectly fit on a single page and can be printed for a better understanding of the facts. 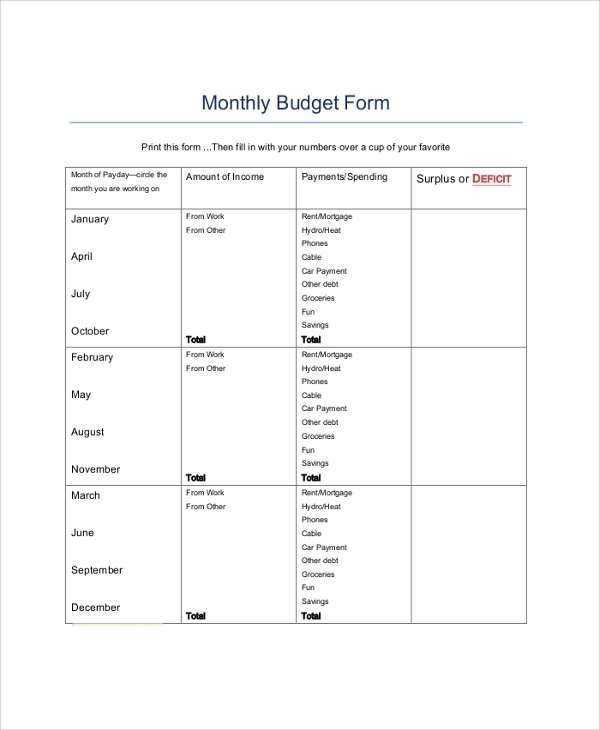 A monthly budget spreadsheet allows figures and matters to draft in appropriate tabs and columns by filling the given spaces with details and information related to budget in months. The spreadsheet provides a clear picture regarding what happened in the matter of budget in one glimpse. 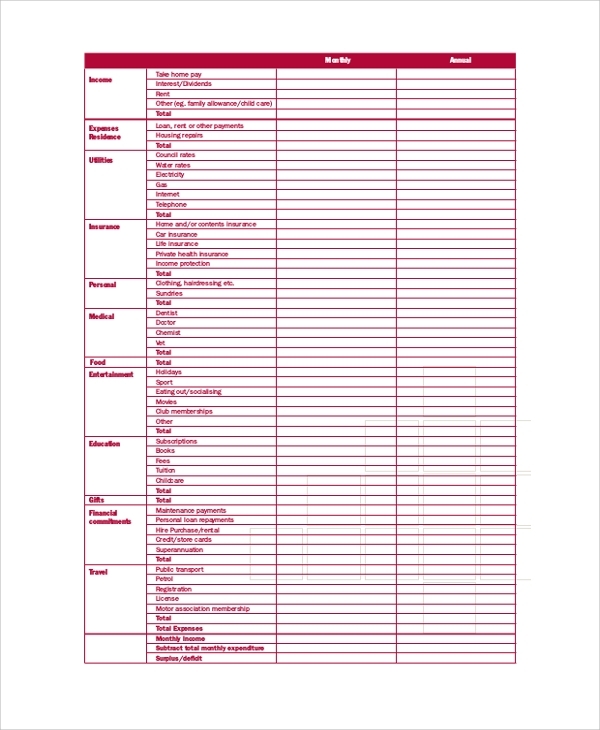 A monthly budget worksheet allows entering figures and statements related to income and expenses in a systematic manner in rows and columns as per a format and templates in a strict way. It is a significant document in the monthly budget. 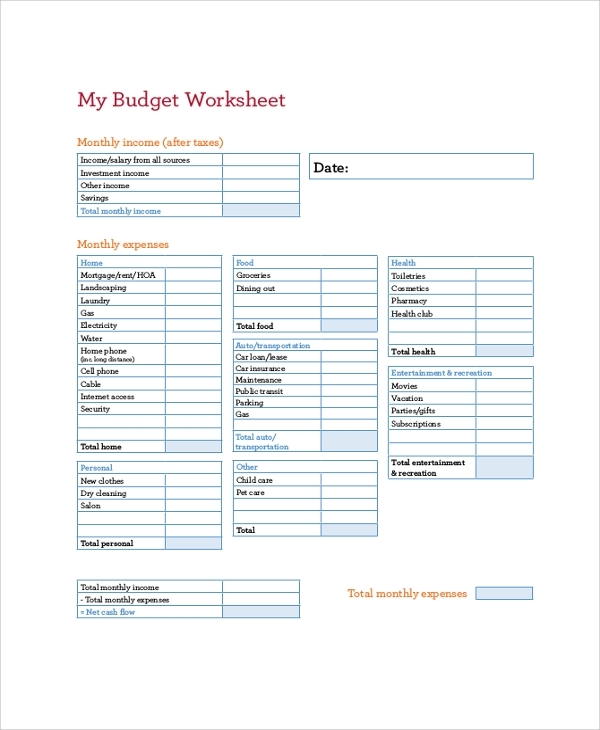 A monthly budget planner gives you the scope to rightly plan the income and expenses that should be carried out in a month. A planner comes with a proper format so that information related to income and expenses are planned and spend as per the personal and professional needs. 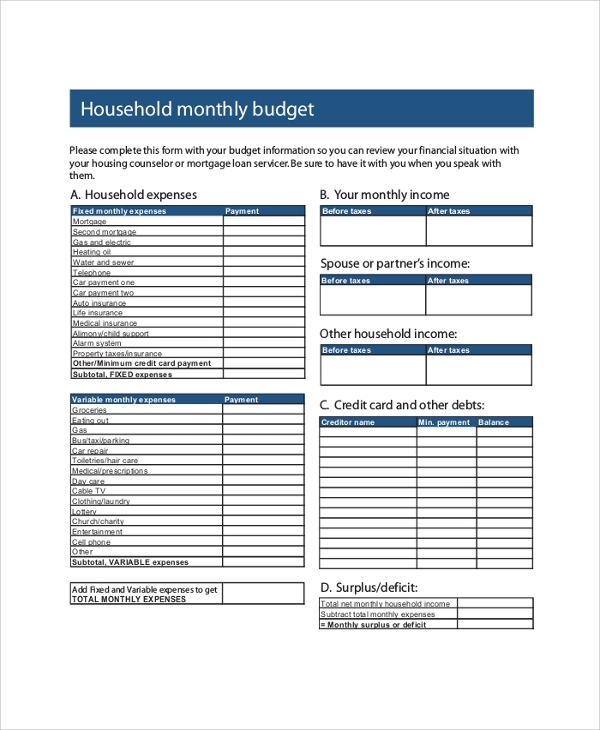 The monthly household budget helps to understand the expenditure meant for the house in a month. It allows planning the incomes as per the requirement in a month to meet the bills, expenses, and other regular expenditures. It is to be noted that developing a Monthly Budget with perfection can assist you in building wealth and getting rid of the debt. On the other hand, preparing a proper budget is much easier than strictly following it. If you wish to get the maximum benefit from a budget, then you will have to practice certain restrained self-discipline to follow it correctly. Why Is The Monthly Budget Report needed? A monthly budget report is required to understand the income earned and expenses incurred in a month. It gives the actual figures and its related statements. This helps an individual to be careful in the coming months regarding the expected incomes and expenditures that need to be met in a successful manner. It also gives the right warning as per the situations, circumstances, and conditions of personal and professional life. 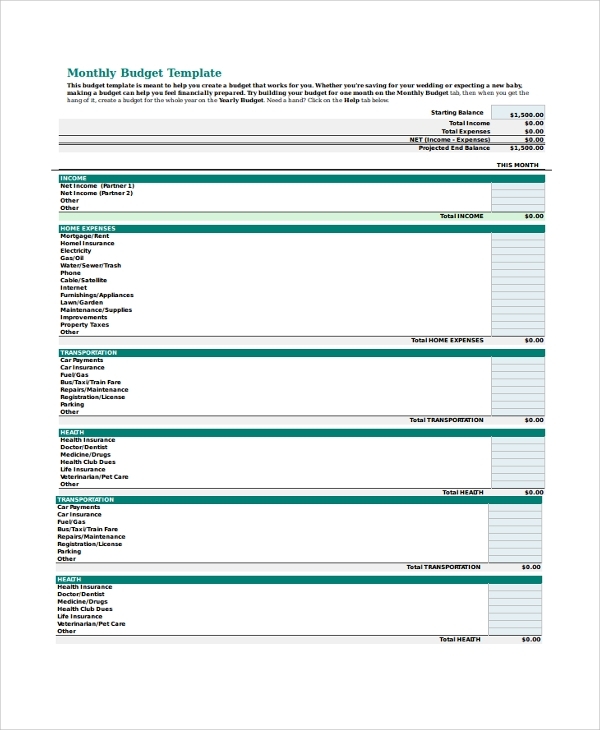 The Sample Budget Reports are a runaway hit among the monthly budget planners. 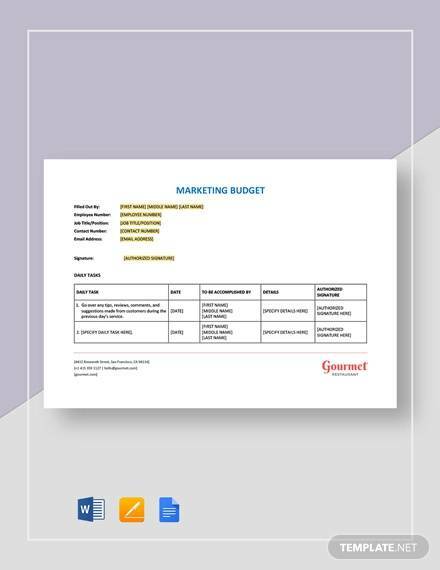 The sample gives an idea related to how a budget report looks like with certain formats and templates. The sample plays a significant role in making the users understand the various aspects of budget report to a great extent. 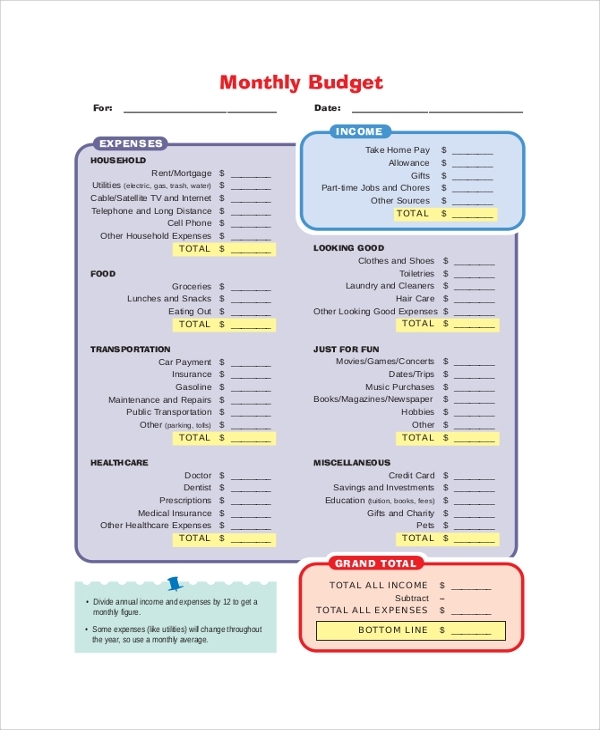 Monthly budget is an integral part of our professional and personal life.